The 2017 annual report of Ontario’s Auditor General once again points to major problems with privatization and lack of capacity in the health care system. Auditor General Bonnie Lysyk continues to criticize systemic problems with Ontario’s public-private partnership (P3) program, and identifies six key problems with the maintenance of Ontario’s 16 P3 hospitals. Hospitals are required to pay higher than reasonable rates to the P3 contractor for maintenance work the contractor has deemed to be outside of the P3 contract. Hospitals are almost forced to use P3 contractors to do maintenance work the contractors deem outside of the P3 contract or face the prospect of transferring the risk associated with maintaining the related hospital assets from the private-sector company back to the hospital. P3 companies with poor performance records are still winning contracts – one such company got in on a P3 deal worth $1.3 billion in 2016 and another worth $685 million in 2017. Hospitals are experiencing funding shortfalls for their P3 maintenance agreements. Four hospitals that the AG spoke to have either requested additional funding from the Ontario Ministry of Health and Long-Term Care (MOHLTC) or have informed the AG that they had experienced a funding shortfall but had not made a request for additional funding from the ministry. These hospitals advised the AG that the total funding shortfall was $8.1 million in 2015/16. The MOHLTC has provided some extra funds for the P3 hospitals to deal with these shortfalls, but, according to the hospitals the AG spoke to, the additional funding provided by the ministry does not cover the full amount of the shortfall. Management at the hospitals informed the AG that they have been required to reduce funding in other areas within their existing budgets to make up these shortfalls. that hospitals would transfer the risk of maintaining the hospital to the private-sector company. “However, all the hospitals we contacted informed us that, due to the way that private-sector companies have interpreted the P3 agreements, the hospitals are not realizing these benefits,” states the AG report. Hospitals told the AG that the P3 “escalating dispute resolution methods” are collectively time-consuming and ineffective at resolving disputes. In one example, a hospital reported that 30 out of 84 negative pressure rooms were not in use from May 2015 – when the construction of the hospital was determined to be substantially complete – to July 2017, when the private-sector company finally acknowledged and started to address the deficiency. Making these rooms available is the responsibility of the P3 contractor under the maintenance portion of the agreement. According to the CEO of the hospital, this is a serious matter because negative pressure rooms are used for infection control. 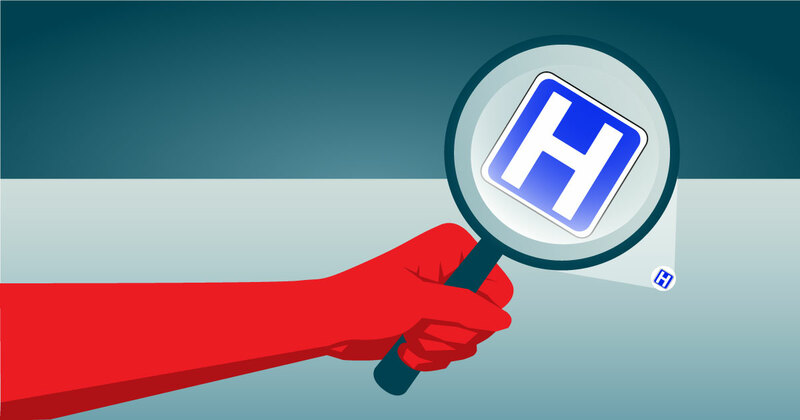 The hospital CEO further noted that, even after acknowledging the availability failure, the private-sector company was still very slow to respond to and resolve the failure, causing the hospital to suggest that it appeared that the penalties were not significant enough to incentivize faster resolution. To date, the hospital has withheld $139,000, which represents two months’ worth of penalties. As of July 2017, this situation remained largely unchanged. In another hospital, the Personal Alarm System, which is a central monitoring system that is intended to ensure the health and safety of patients, staff and visitors, has experienced repeated failures since January 2014. These persisted into 2017. Examples of the failures include false alarms, system slowdowns, security office camera problems, and door lock issues. The hospital and the private sector company are in dispute regarding the amount of penalty, in the form of deductions against payments to the private-sector company. The hospital has asserted that the amount of deductions allowed under the P3 agreement totals over $71.4 million over the three-year period, but the private-sector company has not recognized any failures. In addition, the hospital has incurred over $2.3 million in legal, consulting and other professional fees since January 2014 to deal with this issue. This AG report deals with only one (small) aspect of the P3 deals – facility maintenance. Earlier AG reports have shown major problems with the government’s overall P3 policy. The MOHLTC has not sufficiently updated its price list for tests done by private labs since 1999. It plans to implement a new price list this year – but if it had done so even in 2015/6, it would have saved $39 million. The MOHLTC has also not significantly reviewed the billings of doctors who order a lot of lab tests – fifteen of whom ordered between $600,000 and $1.4 million worth of tests done in a year. Each of those 15 doctors ordered over 75,000 tests in a single year. The AG does not add that some doctors own private labs, but that reality does raise the question of potential conflicts of interest. Urgent surgeries for 15 out of 17 types of cancer did not meet the MOHLTC 14-day wait time target. Wait times for stem cell transplants exceeded Cancer Care Ontario’s target: 1.5 times the wait for cases where the patient previously stored stem cells and seven times the wait for cases where someone else’s stem cells were used. The province sometimes sends patients to the United States for the procedure, at an average cost of $660,000 – almost five times the $128,000 average cost to do the procedure in Ontario. Bottom line: the lack of hospital capacity in Ontario will cost Ontario over $90 million between 2015 and 2021. This is an edited version of “Six more problems with public-private partnerships (P3s)”, originally published on Defend Public Health Care, the blog of CUPE’s Ontario Council of Hospital Unions.